The RWK301 Walking Frame is a height adjustable, folding walking frame with a one-button mechanism which allows quick convenient one handed folding. Contoured handgrips enhance user comfort. Made of aluminium tubing, our folding adjustable walker has a lightweight design without sacrificing durability and is easy to transport and to store. 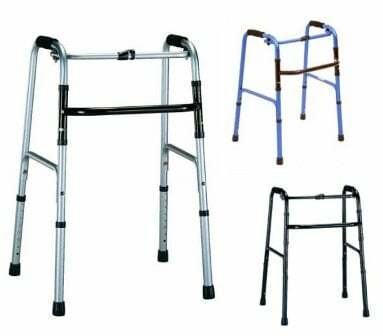 This model walker can be customized with walker ski's, 3" or 5" wheels etc.